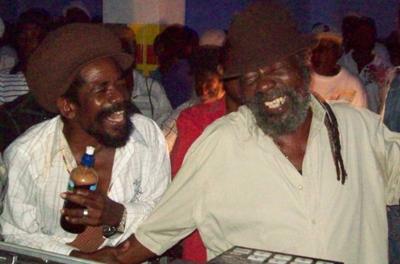 I believe this is an awesome picture as it captured a simple joy of being together and sharing a passion for roots reggae music. 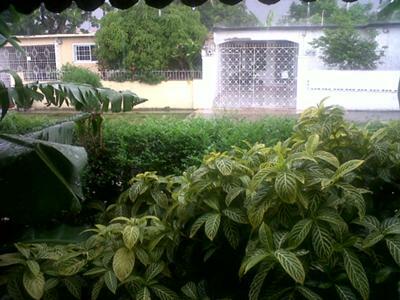 Well, it's not much, but homes can be a serenity in Jamaica. 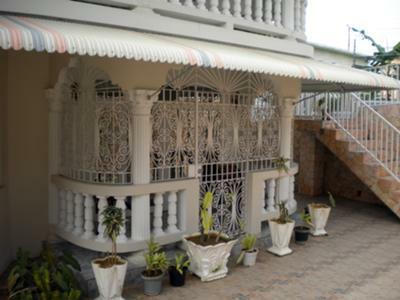 Here is my adorable veranda on the front side of my flat. Yes, I have 2! The rear one overlooks lovely Mt. Salem. 'Grills' are pretty standard for windows, doors and verandas all over the island. I'm sure it's done for safety, but I happen to think the style-work is pretty neat and adds to the architectural appeal of most homes. The great thing about my landlord's home is that it's built on multiple levels into the hillside, so this veranda looks out onto a limestone privacy wall. I spent a lot of time here - with my Kindle, my friends, my Boo, or sometimes just chillin' with the lizards. LOL! Some nights I actually slept out here. And because no one could see me, it was the perfect place to sit and soak up the sounds of my neighbor's music, or the adorable smells coming from their kitchens. 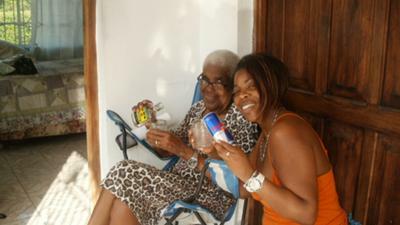 5/8/11 - Happy Mother's Day from Jamaica! 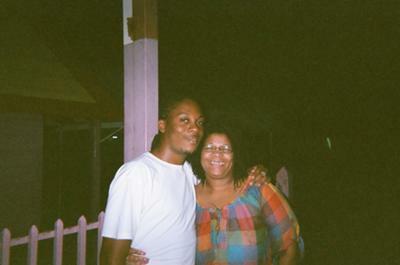 We were in Ocho Rios for mothers' day last year. I totally enjoyed the time with the love of my life - hanging out for the night. Ochos is a nice place to visit and relax, good food! 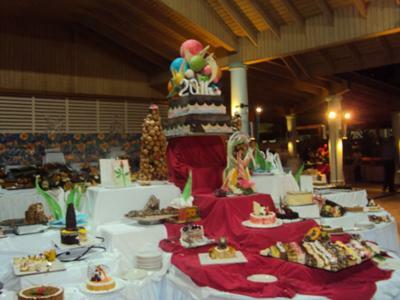 Thi was New Years Eve at Sunset Beach Resort, Montego Bay, Jamaica. 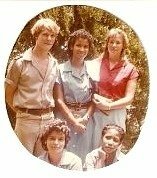 Going to high school in the 1980's in Tower Isle, outside Ocho Rios in Jamaica. Click Here to add YOUR photo. Or Click Here to see what other have shared. 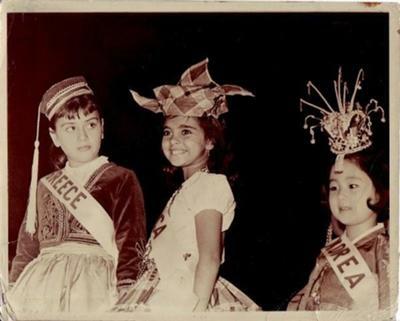 This was the first ever beauty contest for a Little Miss Jamaica, who was sponsored by officers from the USS Jamestown docked at Kingston Harbour. 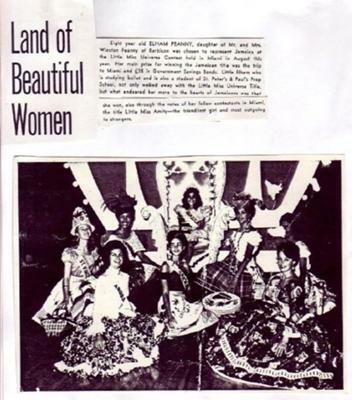 Little Miss Jamaica was chosen out of 300 contestants from around the world as Miss Congeniality & then crowned first ever Little Miss UNIVERSE. 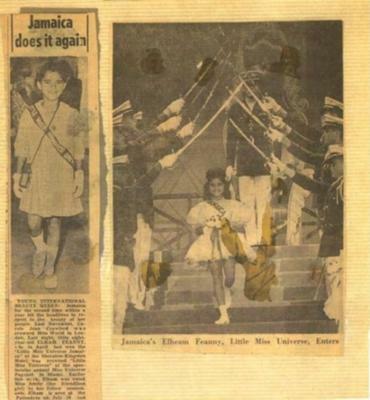 Photo of Elham Feanny of Kingston, Jamaica who went to Miami Beach, Florida & was crowned Little Miss Universe, awarded trophy for Miss Amity~Miss Congeniality & upon return to Jamaica not only presented to Sir Alexander Bustamante, but taken on board the USS Jamestown battleship @ Kingston Harbour with a gun salute!